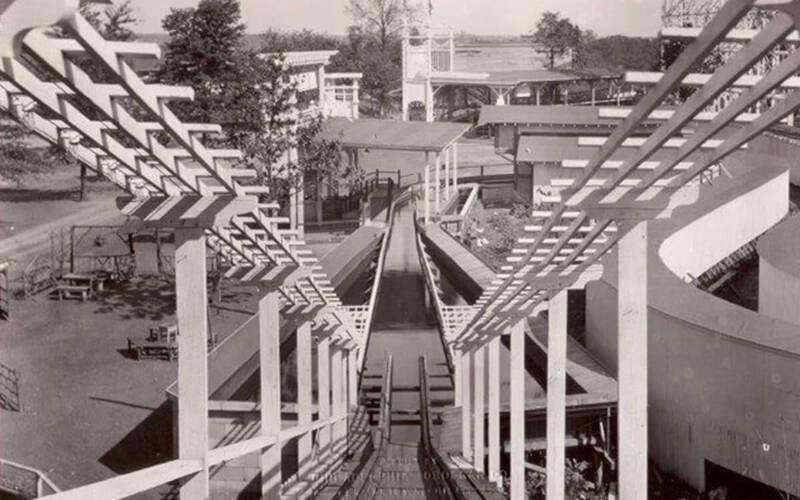 Those not familiar with amusement park history might be surprised to learn that there is enough history of Baltimore-area amusement parks to fill a book. Such was the case for many of the country’s large metropolitan areas in the early 1900s. Before the advent of the mega-regional theme park, hundreds of small amusement parks could be found on beaches, piers, or the outskirts of the city. Park goers didn’t have to drive miles to get to a park, they could hop on a streetcar, steamship, city bus or school bus and often had many options from which to choose for close, affordable, family fun. Like most parks of the era, many of Baltimore’s parks trace their history back to the 1800s when locals would visit a picnic ground or resort that featured dance halls, bowling alleys, music pavilions, or simply a pleasant, quiet area to get away from the city and enjoy a picnic lunch. 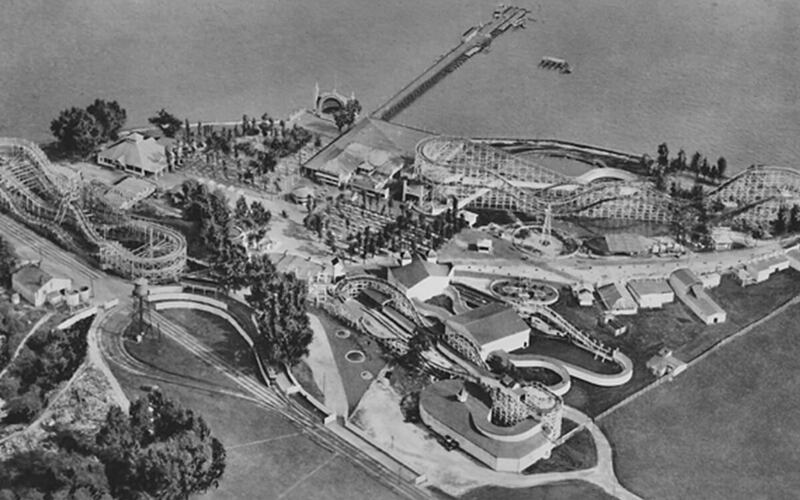 Historic Parks of Baltimore presents the rich history of the old amusement parks and beach resorts frequented by Baltimoreans beginning in the 1870s and stretching into the late 20th century. Readers may recognize such popular amusement parks as Gwynn Oak, Carlin’s, and Tolchester Beach, and will learn about some of the more obscure places like Frederick Road Park and Hollywood Park. 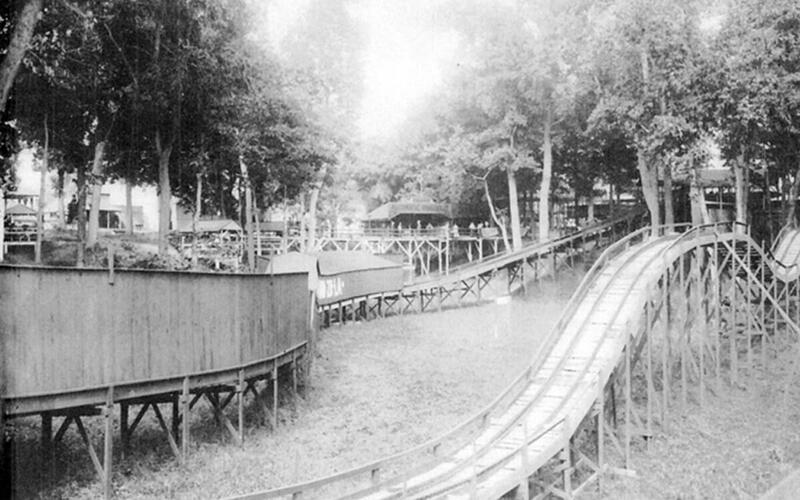 Each of the major parks is documented, complete with a detailed history of the sites they were built on, the creative owners behind the parks’ inceptions, the individuals and companies who provided the rides and attractions, and, the people that frequented their favorite park or resort. Author John P. Coleman is a senior software engineer living in Omaha, Nebraska. He has a lifelong interest in amusement parks and is a member of the National Amusement Park Historical Association (NAPHA). 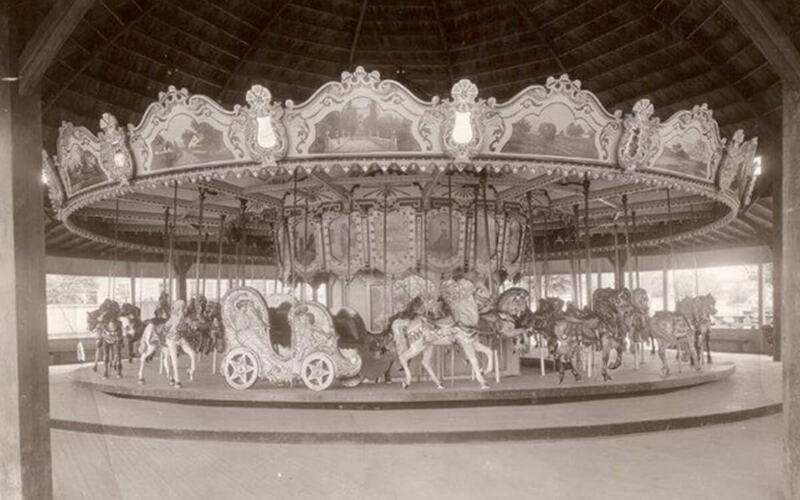 With the assistance of fellow NAPHA members, amusement industry connections, and several local libraries and historical societies, he was able to assemble a written history of the amusement locations that Baltimoreans frequented throughout the 20th century. The book is the culmination of several years of research. Following acknowledgments and introductions, the book contains 14 chapters, each dedicated to a specific amusement park, presented in alphabetical order. An index at the end of the book will be of particular interest to researchers who will appreciate the ease in locating specific information about a park. Each chapter tells a somewhat chronological story of the park, beginning with how it became established as an amusement park, its glory days as a thriving amusement center to each park’s unfortunate demise. Some parks, such as Frederick Road survived for only a short time, eventually succumbing to a number of devastating — and suspicious — fires during its brief ten-year existence. Of the 14 parks highlighted, only Enchanted Forest survived into the 1980s. Fires, hurricanes, changing social habits and escalating property values helped bring an end to Baltimore’s old traditional amusement parks. Augmenting each chapter are historic photos, images or copies of brochures. The soft-cover book fills more 252 pages and is filled with numerous black and white photos — likely the first time that so many images of Baltimore parks have been brought together in one resource. All of the photos are nicely captioned and the chapters are a pleasure to read. 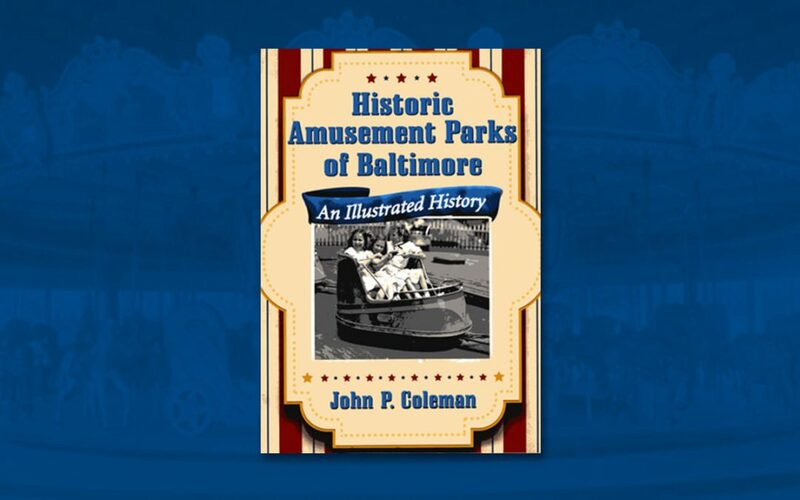 Historic Amusement Parks of Baltimore sells for $39.95 and is available through McFarland Publishing’s website, mcfarlandpub.com or McFarland’s phone order line, 800-523-2187. The book is also for sale at Amazon.com, and major book retailers such as Barnes & Noble. This article first appeared in the April 2015, issue of Amusement Today, and is reprinted here courtesy of Amusement Today. For subscription information, visit AmusementToday.com.